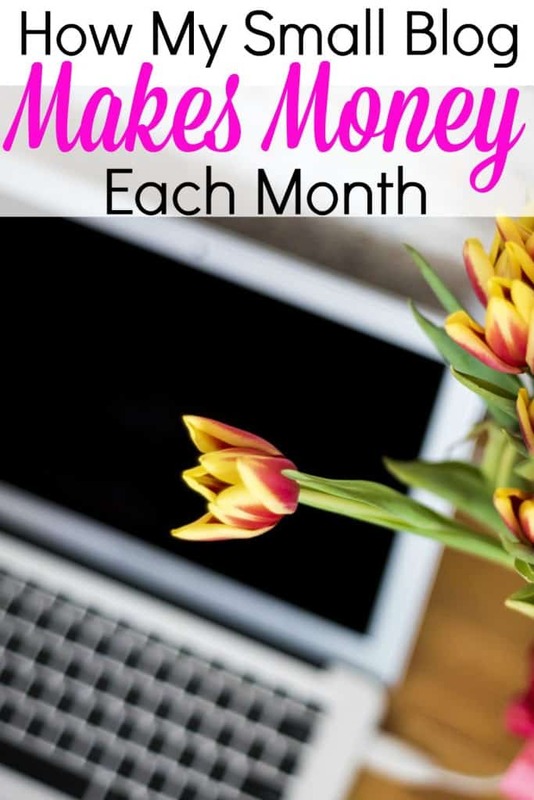 I am so excited to share my May blog income report. 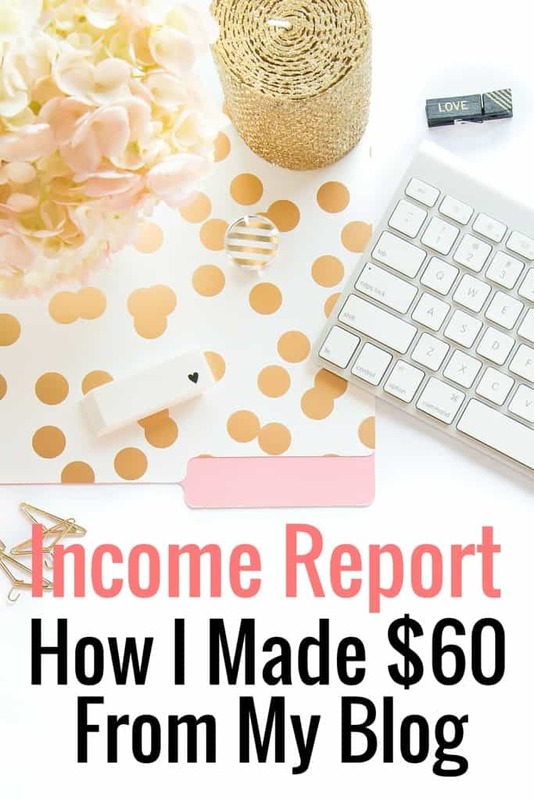 This is my third blog income report! Even though it's not much, it’s still a little shocking I am actually making money from Believe In A Budget. My income is still very small, but it doesn’t matter to me. This blog started as an outlet and a way to connect to other bloggers, and I am happy it is slowly transitioning to an extra source of income. I started blogging in the fall of 2014. In April, I even earned income from my blog. Last month was a success too! This month was my highest income yet, but I have a long ways to go before I can quit my day job. My affiliates sources are pretty diversified. My income from May came from three different sources. Ibotta (another free cell phone app). You use it after you go grocery shopping and use your receipt. It's basically a rebate app, so you can earn anywhere from 50 cents to $5 off everything you buy. It can be a little hectic having several different sources of revenue and keeping track of each one. Right now I have a simple spreadsheet I made that lists each affiliate, how much I have made and the threshold limit if there is one. I have been working on expanding my affiliate networks. Last month I joined two more great networks to remain diversified. I also signed up with IZEA and Cooperatize, so I am excited to see where these new outlets take me! In general, I'm a bit at a crossroad on where I see myself in the blogging world. I actually have a separate post on this and am hoping to get a bit of advice on the subject later on in the week. I need to blog more. I have been only publishing two posts a week lately due to a hectic, real life work schedule. I need to get back to posting three times a week. I'm still enrolled in the Elite Blog Academy, but have fallen a little behind. Each unit is really demanding and I am definitely taking my time through each one. I am learning a wealth of information and am really glad I made the decision to take the course! I would like to venture out more into the blogging world and ask a couple bloggers if I can write a guest post. I think I just worry about rejection. I am happy with how my blog is growing. Each month I am increasing my page views and users, so that means I am doing something right. I just need to keep it up and work harder! How do you keep track of all your blog income? If you are a VA, have you ever experienced any rejection? Previous Post: « Can You Afford A Home In Today’s Market? Hi Kristin, thanks for sharing this blog post about how a small blog can make an income, blogs like your encourage small bloggers to keep on it. It is hard at the beginning, but keep on it, it might become a great online business in time. Love your honesty, Kristin and congratulations on getting accepted to Blogher. I’ve been trying to monetize my site for awhile, but my topics are a little to broad. Need to work on narrowing my niche. Bottomline is providing value to our readers, right? Awesome job! Hey Erik! It took me a couple tries to figure out what I liked and didn’t like writing about. Now I blog about 3 areas that can all be intertwined, so it’s really working out. Good luck, you will do great! Awesome Carolyn! I was scared to share my traffic reports and was worried people would judge me, but it’s the opposite. It’s such useful information and a great way to look back at your blog! Kristin, I can tell that your growing blog income inspires others who are struggling. We publish a lot of news to help bloggers and others wanting to earn income online to improve their business results.